Yes girls, I’ll hold my hands up and admit I was a ‘plucker’. The late 90s/early noughties saw us girls OBSESSED with tweezing out those stray hairs. 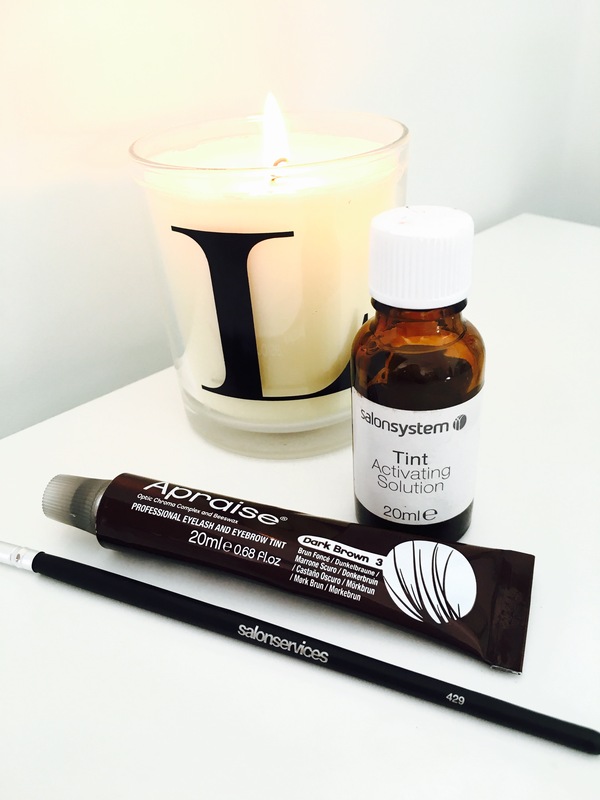 As a result most of us ladies in our late twenties and early thirties onwards have had to resort to a number of treatments to embrace the ‘thicker’ brow trend. Back in the day, there were very few treatments available for brows, apart from your basic wax. Even then, if you didn’t go to someone who knew what they were doing, you could end up bald-and I don’t mean on your head. 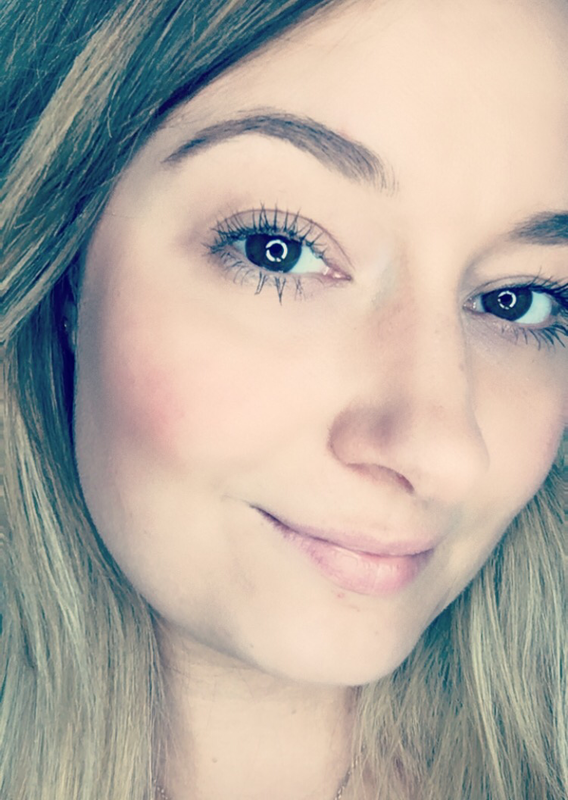 Recent years however, has seen a better ‘toned down’ High Definition Brow, and so I decided that my own naturally fine brows, coupled with the damage done from the crazy excessive tweezing era needed some TLC. 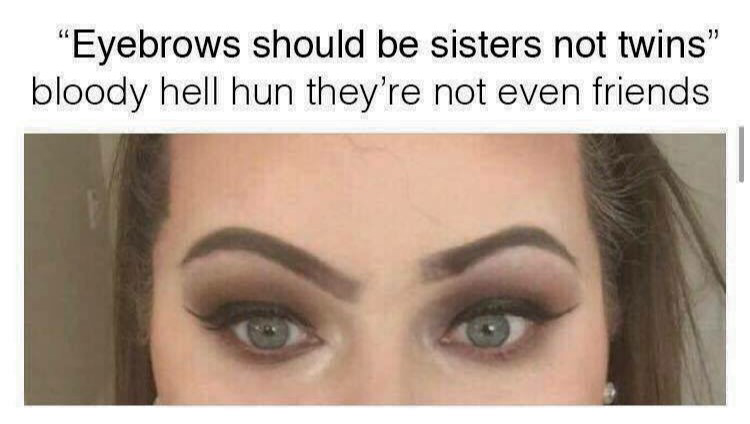 Also, the thicker brow trend was taking over my Instagram feed and my brows were certainly not ‘on fleek’. 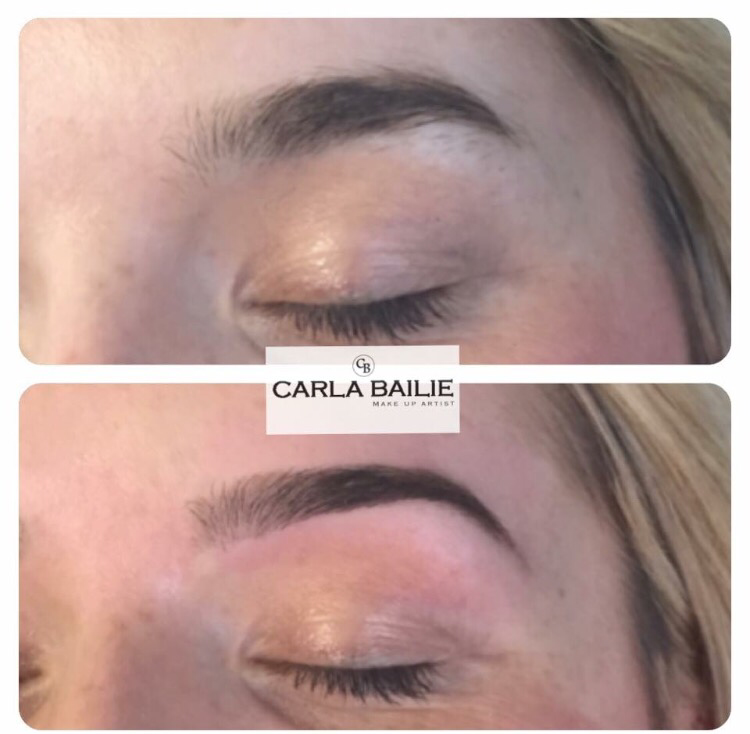 After a bit of research and reading various reviews, I put my brows in the capable hands of local makeup and High Definition Pro Artist, Carla Bailie. 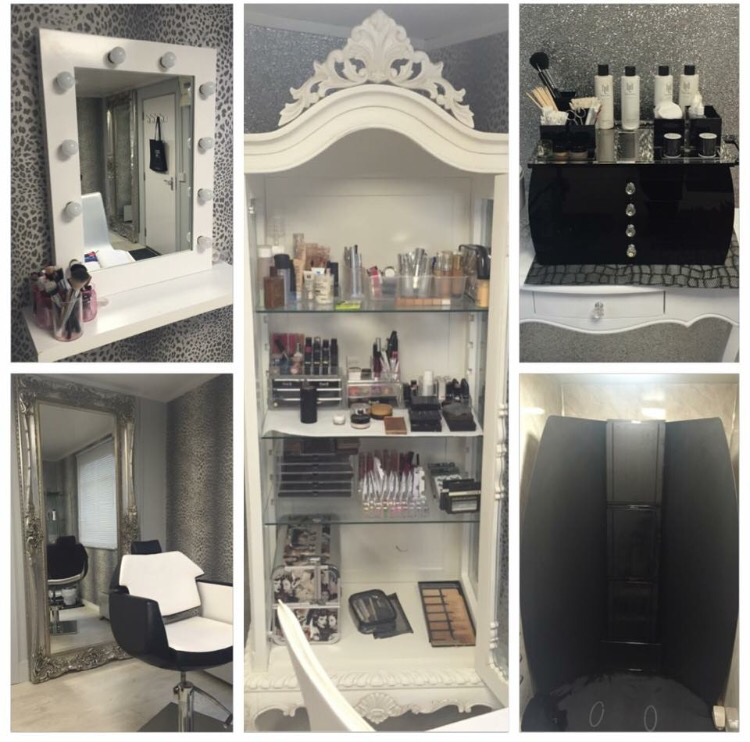 The HD Brow treatment consists of tinting, waxing and threading to give you perfectly defined brows. 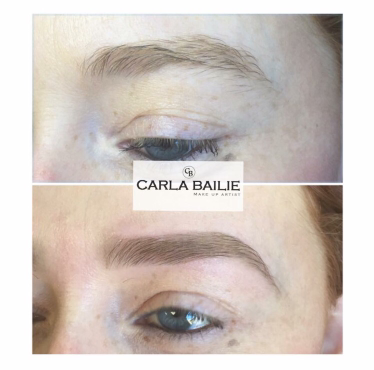 Carla collaborates with you to ensure that your eyebrows will be perfectly shaped, arched and tinted to suit your face shape and colouring. I have been getting mine down now for nearly a year, and the difference is unbelievable. Taking Carla’s advice of rubbing Castor oil on my brows has really helped them grow and I can only describe Carla as a complete brow wizard. I only have to visit once every couple of months-there is very little regrowth and the HD colour lasts for ages. I just tint them myself in between. 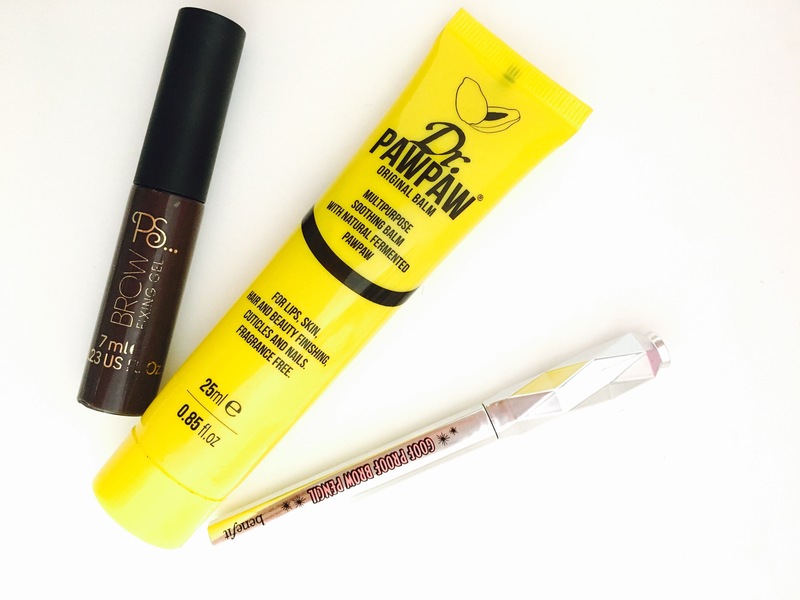 For a low maintenance day, I usually just whip them into shape with a spoolie brush and slick on some Dr Paw Paw or Benefit’s Goof Proof Brow Pencil, finishing with the PS Brow Fixing Gel by Primark. When I want a bit more definition, my current favourites are the Ingot AMC Brow Gel, Soap & Glory Archery , and The Sephora Eyebrow Editor palette with a slanted brow brush. 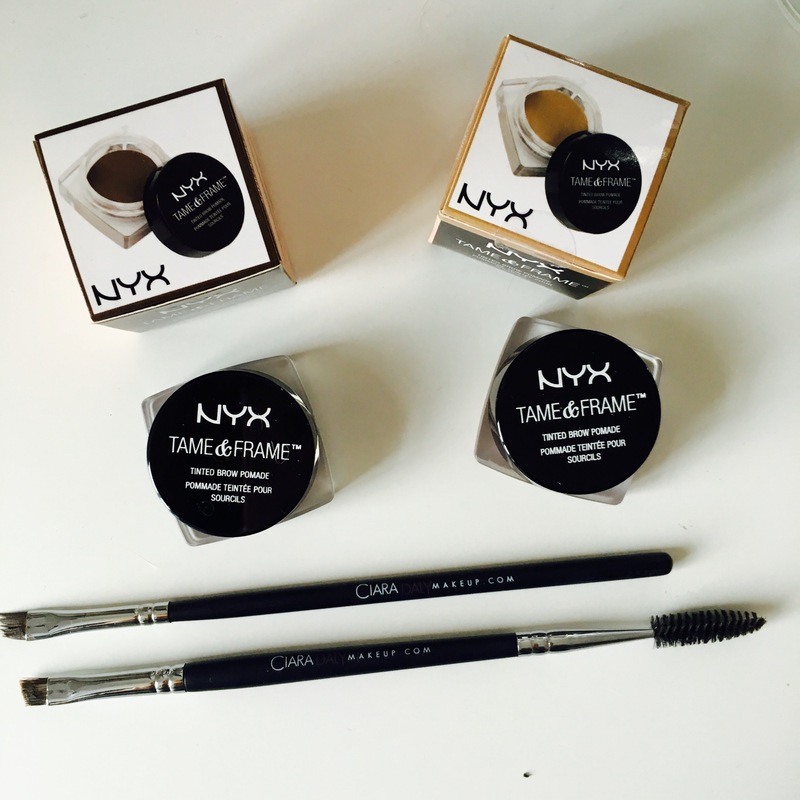 Also, now that NYX has come to Boots at Sprucefield, I am totally loving their ‘Tame & Frame’ Brow Pomade- long lasting, waterproof and really affordable. 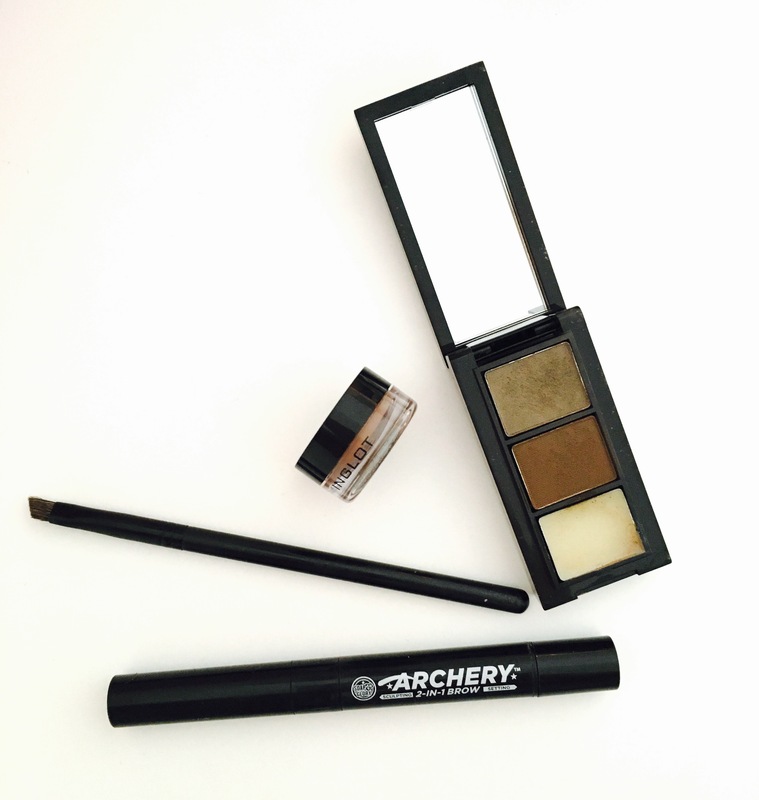 Left to Right: Soap and Glory Archery; Sephora Slanted Brow Brush; Inglot AMC Brow Gel; Sephora Eyebrow Editor Palette. The cosmetics industry is abundant with brow products now- the new range of from Benefit and Anastacia Beverly Hills Dip Brow are currently on my hit list (as my bank balance weeps). Not only is she an eyebow fixer, but Carla is also one of the most talented Makeup Artists around. 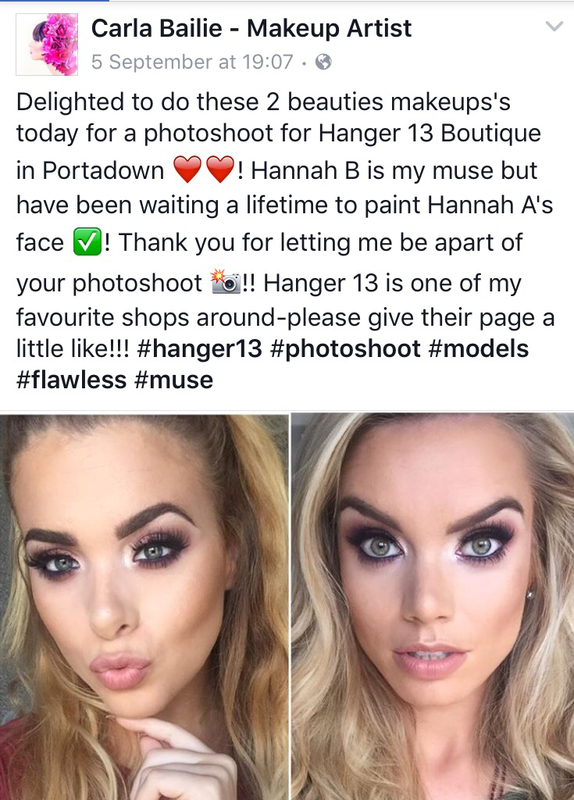 Her Facebook wall (see here) is filled with gorgeous transformations and she has worked on a number of high profile shoots and events, most notably Armagh Rose. 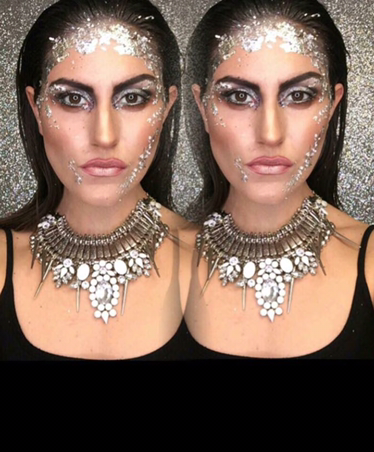 She is also extremely modest about her work, which in my opinion goes a long way in the Beauty Industry and she is an absolute stunner herself-both inside and out. Some of Carla’s amazing work. Photo Cred: Carla Bailie. So there we have it ladies. Put down the tweezers.